My garbage disposal smells really bad, what can a professional plumber do to get rid of it? Most of us in the Northwest have a garbage disposal. 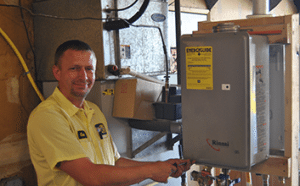 Even though many of us tend to take having a garbage disposal for granted, we tend to forget that these home additions are very complex, and if they are not properly taken care then they can become a real headache to repair. There will come a time when every garbage disposal owner will have to tackle a smelly garbage disposal, and hiring on plumbing professionaland be the only to properly correct the issue. It's important to understand that garbage disposals are not for all types of garbage. Even though the name implies such, it's a very selective appliance that should only be used for specific types of garbage. 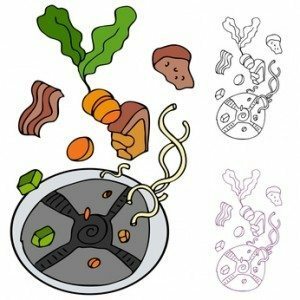 Unfortunately, many people tend to put oil, grease, plastic, glass, metal, paper, pasta, eggshells, bleach, and large pieces of food inside of their garbage disposal. All of these things will breakdown your disposal and cause it to smell, and function roughly. My garbage disposal smells like rotting food. How can a professional plumber get rid of it? When your garbage disposal starts to smell bad, it might be time to hire on a plumbing professional to help eliminate the smell. You could possibly fix the problem yourself, it's advisable that you talk to plumber, and ask them handle the problem. Once you are able to start smelling your garbage disposal, there is a good chance that the problem has developed into to larger problem. A professional plumber will take the time to check your garbage disposal to make sure that the smell isn't coming from your sewer. They will also check your disposal to make sure that it's eliminating your food waste properly. Most times when a garbage disposal smells foul, it tends to have food debris stuck at the bottom of the panels. If this happens, your plumber can easily remove the food debris, and pour a safe solution into your disposal to help the smell from bacteria building up to be safely removed from your drain. What shouldn't I put down my garbage disposal? There are many things that you should never put into your garbage disposal. While this list is quite long, once you know the basics you can make informed decisions. Fox is going to cover some of the most common and dangerous to the life of your garbage disposal. Potato peels are harmful to your garbage disposal, because the starch in potatoes can turn into a black glue. That "glue" can stick to the blades, causing them to jam and stop working. You should never put oil, grease or fat into your garbage disposal. All of these things will create a build-up of gunk, this 'gunk' will coat the blades keeping them from grinding, causing the blades to seize and clogging the drains. Pasta, bread and rice are horrible when it comes to your garbage disposal. These starches will continue to expand, and they may cause your blades to get jammed. Bones will dull your blades and break your garbage disposal over time. Never put bones into your garbage disposal if you don't plan on investing in a new one anytime soon. However, there are certain brands, ie. Viking, which are capable of disposing of bones. We are the most caffeinated city in the US. And that honor also comes with how much we love our special roasts from brewers all over King County. And if, you're like us, you like to have a special brewed cup in the morning before you start your day. But don't put your coffee grounds down the garbage disposal or drain they can get stuck in the trap. This will clog your disposal over time. If you find that your garbage disposal is starting to smell then it might be time to call a plumbing professional. Fox Plumbing & Heating can help eliminate the smell and give you tips to prevent it from happening again in the future. Is your garbage disposal clogged and smelling up your King County kitchen? No need to wait, Call Fox Plumbing & Heating at (206) 767-3311 and get service you deserve.